At Peachtree Hills Place, we place a great degree of importance on community. The community forming here is unlike any other, and that is because of you, our Members. We are having the unique pleasure of watching each of you take part in creating what this community has become, is becoming and will continue to be. At Peachtree Hills Place, you are the most important part of this community before you ever move in—from exciting Member events to hobby-specific committees and logistics of how the community will run. With the Spring season comes more opportunities for our Members to get to know each other through events like monthly Member cocktails and building-specific socials. We have loved watching each of you meet each other and begin to form relationships with one another. “We’re excited about the friendships that will be here, the activities and being with a small group of people that are going to be like family,” said Nancy Isakson. Our monthly Member cocktails have served as a fantastic way to form the Peachtree Hills Place family. Your recent and upcoming building-specific socials, which you spearhead, have provided all with even more opportunities to get to know one another on a deeper level. With great food and even better company, we cannot wait to continue to watch you all create your place here. Each of you bring something unique into the variety of our community—your life experiences, careers, and hobbies—and our staff has loved getting to know each and every one of you better. As we get to know you more, we are also learning about your desires and needs as they relate to our structure at Peachtree Hills Place. As you know, we believe you play an integral role as the first Members of Peachtree Hills Place. With this title, you will also be determining how things here will run and molding the community to your liking. When you speak, we listen. This has taken form in our Member survey. The goal of this survey is to learn about each of your specific wants and needs. Additionally, it has allowed us to begin organizing committees and leadership teams according to the interests that you expressed the most excitement about. We have recently begun hiring our Leadership Team, a team dedicated to listening to Member input and determining how and where your ideas can be implemented. In addition to this team, there are to be countless committees specifically catering to your hobbies. These are areas where you can be actively involved in your community. “There are 12 or 15 different categories that you can join—from grounds to culinary to whatever it may be that you’re interested in. It’s important to be able to be part of creating the whole Peachtree Hills Place experience; to be a voice box for the Members saying, ‘This is what we like to see,’” says Scott Ardolino. Mr. Ardolino, along with many of our other Members, has expressed his excitement for the upcoming committees. You can learn to play croquet, to paint or just from interacting with one another. “One of the wonderful things about having a larger studio and a group of artists working together is that you do learn from each other,” says Barbara Casey. These committees not only serve as an opportunity to spend time together as a community and learn from each other, but they also give each of you an avenue to explore new interests and dive deeper into your favorite hobbies. 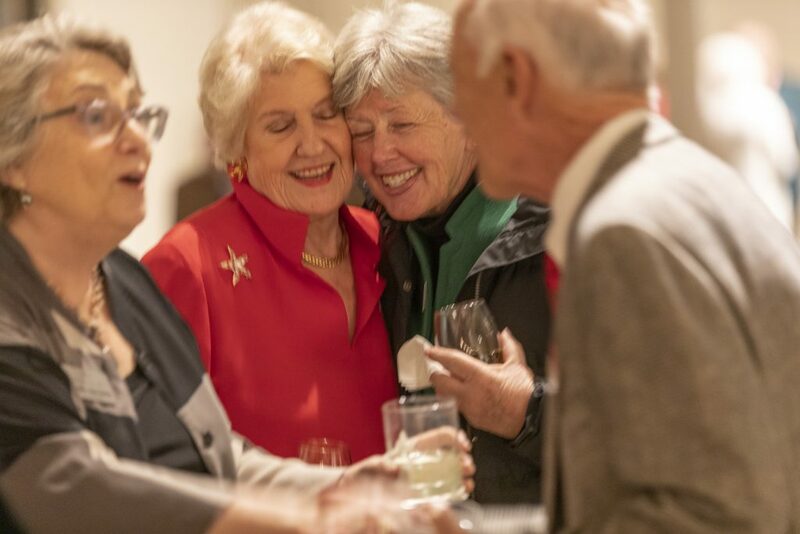 We are confident that through gatherings like social events and interest-building activities, you will enjoy living a life well-played at Peachtree Hills Place. We cannot wait to continue watching the progression of this special place you will call home. We feel honored that you have chosen our community to be your new home, and we look forward to hearing more of your ideas and opinions as we near our opening. We are thrilled to see how we will continue to grow together in the months to come as we ramp up for our first move-ins this Fall.